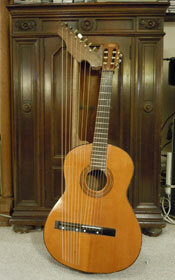 What do you do when you want a harp guitar but don’t yet know what you want? How might you find out whether or not you want 5, 6 or maybe 7 harp strings? What about string spacing, or what angle you want them relative to the regular neck? Well...why not make one and find out?